The Ranty Highwayman: What Mode of Transport Would a Strawman Use? What Mode of Transport Would a Strawman Use? 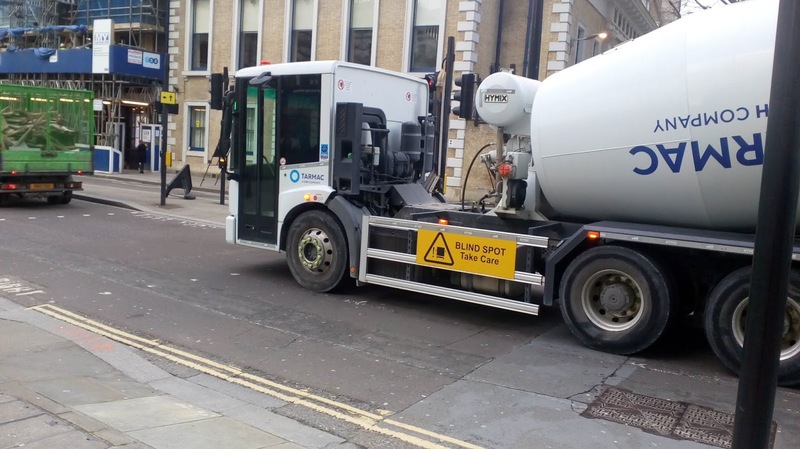 At least in London, we've just had the annual event whereby cabbies tell cyclists that you can't shift 20 tonnes of concrete by bike and cyclists tell cabbies that can't shift 20 tonnes of concrete by cab either. 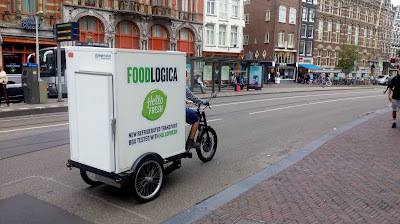 OK, it wasn't quite like that, but it wasn't far off and the strawman army was deployed in force in arguments which have been repeated whenever a town or city tries to grow cycling as a transport mode. For those with an interest, the thing which kicked it off this year were several days of blockades on London Bridge by cab drivers on who are upset that Transport for London is proposing interim traffic controls on Duke Street Hill/ Tooley Street in order to reduce traffic. For the cab drivers, this will mean that they can only use the whole corridor in the westbound direction. As you can see from the snippet from TfL's traffic CCTV system, Borough High Street (south of London Bride) was inadvertently made nice and quiet by the protest; you'll notice the amount of space given to traffic while the footways are crowded - right outside London Bridge station on the right and Borough Market on the left. In many ways, the scheme that is being protested about doesn't matter, it's that every time something is proposed (making cycling, walking and bus transport easier in this case), the cabbies are out opposing it. A scheme is either in the wrong place, it is unfair on cabbies' passengers who always need to be dropped outside the door of wherever they are going, it operates at the wrong time and so on. 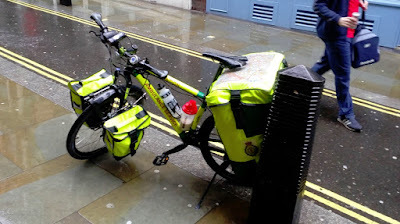 We're often subjected to ableist nonsense that cabs are vital for people using wheelchairs. Yes, cabs are certainly very useful to many people, especially as London's rail network isn't fully accessible. However, for some reason, the idea of a wheelchair user attaching a handcycle unit and cracking on under their own steam is utterly alien. It's not just the cabbies. 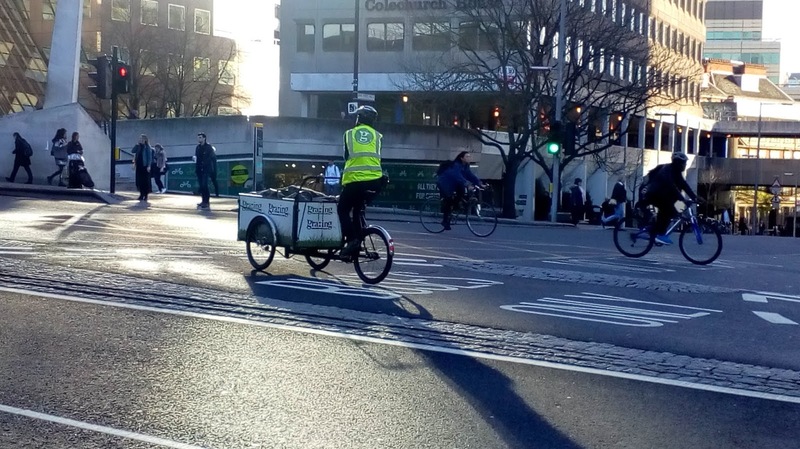 This week, there was a story about a group called 'Unblock the Embankment' pushing behind the scenes to undo some of the work in creating protected cycleways in Central London. The group spouts the usual crap about cycleways causing congestion, causing pollution and blocking emergency vehicles, but they are clearly oblivious to the fact that much of Central London doesn't have cycleways and it's the amount of traffic causing the problems. At least Unblock the Embankment are now telling us who they really are and that is the Licenced Taxi Drivers' Association, Royal Jersey Laundry, Canary Wharf Group, the Confederation of Passenger Transport and the British Motorcycle Federation. Certainly the LTDA, CPT and Canary Wharf have long lobbied against cycling infrastructure, but the laundry firm is a new one for me. 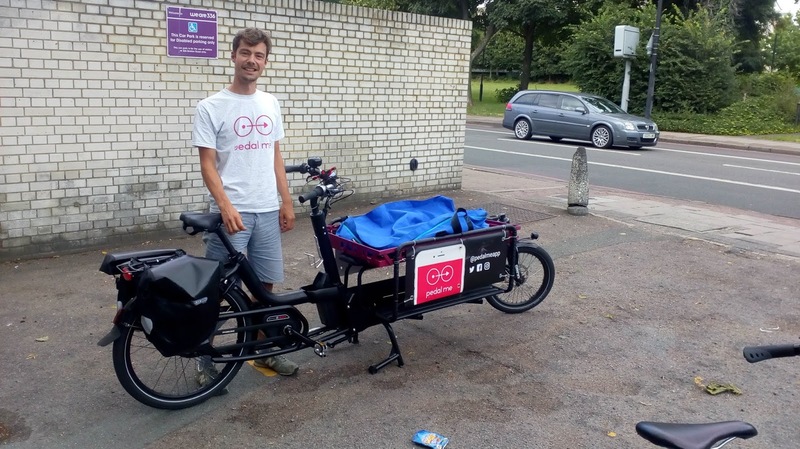 They are based in Chadwell Heath and so in serving Central London, their vehicles will be driven right through East London and so it must be assumed that The Embankment is a useful for them. 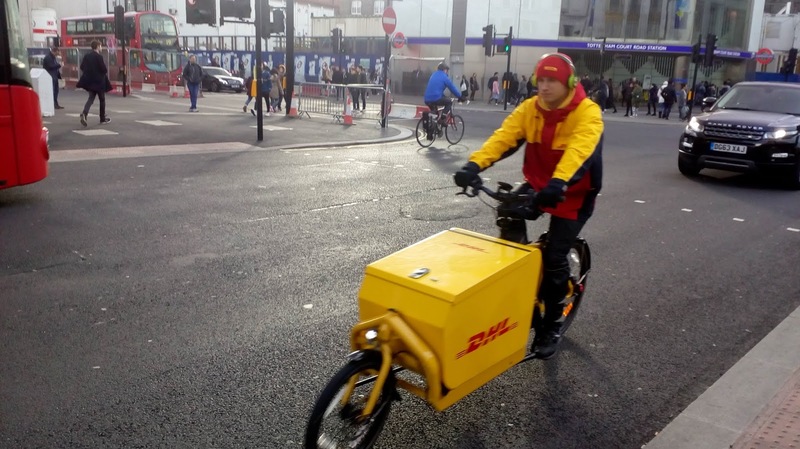 The wonderful thing about using cycles to transport goods and people around is that they are space efficient, energy efficient, low polluting, flexible and they present a far lower road danger exposure that cars and vans. The debate needs to be moved on. Cycles have to be part of the transport mix as we densify our towns and cities because there isn't space to shift everything we need by motor vehicle. That's not to say the day of the motor vehicle is over because we still need to move heavy goods, we will still need buses and yes, we will still need taxis. Would it change much if the treatment is reversed ? ie. rather than restricting traffic eastbound, we'd be restricting traffic westbound and allowing eastbound traffic only ? I could see that this would form a pair with Druid st/Crucifix ln/St Thomas st, which are westbound only. Though then again I'm not sure what TfL is planning for the whole area.